The eve of Copa del Rey serve to check the state of form of the classifieds for her. 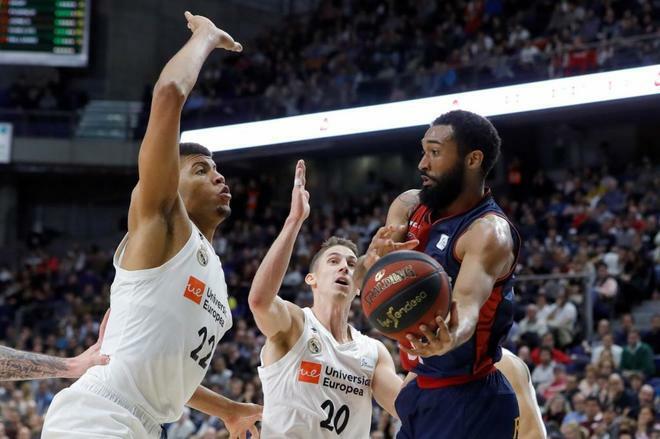 When two of the candidates directly face each other, such as Real Madrid and Baskonia on Sunday, it can be considered as a reliable sample of the state of form of both and the seriousness of their aspirations. In this case, after a tense and defensive clash, both can think that they arrive in good conditions, but above all, for a Madrid that came from two consecutive defeats after having had good early advantages in Malaga and Moscow, having overcome the Hard physical challenge of the Baskonia is particularly comforting. A Real Madrid without Sergio Llull or Trey Thompkins , a Baskonia without Toko Shengelia or Jayson Granger are a priori two somewhat less complete and powerful formations, but the defensive level demonstrated by both is enough to keep them among the favorites. The defense wins Cups. However, the forecasts become more difficult in other cases. What can be deduced from two such atypical matches as those of two teams that will play the Cup, in their respective courts, against two teams that are much worse classified, that will not be in the Madrid event, but that will beat them clearly? This is what the Obradoiro has done in Valencia and the San Pablo Burgos in Tenerife. In these cases it is often said that the strong teams thought more about the Cup, in which they lacked concentration ... But the question always remains: what if they have suffered a real slump and their chances are shaky? Thus, that Valencia who was seen improving lately has given a whole exhibition of softness and disorder in a bad end of match against the modest Obradoiro. The always irreproachable technician of the santiagueses, Moncho Fernandez , continues to maintain the order of their sets and grows its players, as the more convincing each day Vladimir Brodziansky , a man with little European experience after his years in the NCAA.